Photo Booth Hire in Berkshire and Surrey for Weddings, Corporates and Parties. Create instant memories of your special occasion with one of our fantastic fun photo booths. We have a range of booth styles to suit all types of parties and budgets. 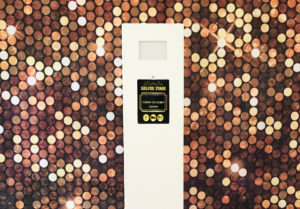 We supply Magic Mirrors in Surrey, Photo Booths and Social Media Booths. No matter what the event, there’s a booth to fit your needs. The all-time classic booth is a party favourite. Our Photo Booths are of the highest standard and come packed with a fabulous selection of props. We have several choices of booth wraps to choose from including Grey Glitter, White Gloss or Camper Van style. We include a FREE guestbook with every photo booth hire. We provide photo booths for parties, proms, weddings and corporate events in Berkshire, Surrey, Hampshire and the surrounding areas. Magic Mirror hire in Berkshire from J23 Events. This stunning 5ft Interactive Mirror has taken the world by storm capturing full length pictures with its magic touch screen and super-fast printing. Grab some props, pose and pout your way through this fun alternative to the classic photo booth. Our Magic selfie mirror is amazing fun and it’s classy look is complete with VIP carpet and stanchion poles. Our Magic Mirrors are perfect for Weddings and Parties in Surrey and London. Our sleek and stylish Media Booth is perfect for those social media lovers. Simple to use and quick to share your images via your favourite media platform. Add filters and stickers to your images or create your very own animated GIF. Its compact size makes it ideal for any venue and looks beautiful with colour changing LED lights. We supply photo booth hire and Magic Mirrors in Bracknell, Wokingham, Ascot, Reading, Windsor & all surrounding areas.